Equipment: Linndrum, Roland Jupiter 8, Moog Voyager, Roland Juno 106, Takamine Santa Fe, Fender Stratocaster. 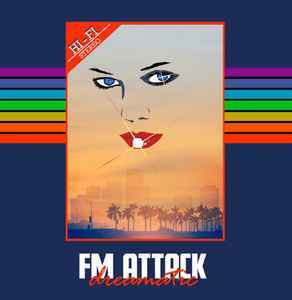 FM Attack shout outs to: Peter, Julian, Arody, Danyboy, Bruce, Jason, Doc, Aimes, Pacific Pearl and to my lovely Stella Dee. Hysteric thanks to: Otto Kraanen, Flemming Dalum, Shawn Ward, MP and Mothball supporters. Why does this only have 4 songs instead of 9?